This is my first time owning a house. I called everywhere til I found All Pro Chimney company and I’m so satisfied! Both my fireplaces looks so new! Thank you so much!!! Holly N.
I got couple estimates for a rebuild and decided to go with all pro chimney. The guys were really professional, prompt and clean. My chimney looks awesome! Highly recommend! Nancy G.
Was searching extensively for someone to fix my fireplace issue and came across only one solid company who was quick to come out and give me a free estimate and sent me a proposal within the following day of the price he gave for the work i was requesting.. Although the project was too pricey for my budget, the guy went out of his way to follow up with me and ask if he could work with my budget. I told him the jist of what i was trying to accomplish and he worked with me on the cost and i received a very reasonable proposal which fixed my solution without having to replace my entire unit. I was completely satisfied with the work they did, they opened up my entire wall, insulated my chase, closed other holes and gaps, put up extra drywall around to make it even better, and closed the hole in my wall like it never existed, and matched the paint so you couldn’t tell any work was done. A very PRO company and a very Pro Job. I recommend to anyone! Maria D.
All Pro Chimney gets a mark of excellence from this happy/satisfied customer. The installers are at the highest degree regarding professionalism. Prior to meeting with All Pro Chimney, I had talked with several companies, and they seemed to not be interested because my install had a degree of difficulty. One installer told me I could not get a gas fireplace because of it. He and another installer suggested I get an electric fireplace. The All Pro Chimney installer listing to me and investigated what I was telling him, and then he came to the conclusion that it could be done. Prior to calling All Pro Chimney, I almost gave up because of the other company’sadvise. All Pro Chimney came to my home to see if the installation could be done, and as soon as the installer entered the house, he took his shoes off without me asking. Even when there were changes made in the plan with respect to the type of fireplace, they solved the problem without hesitation and kept the same installation date. They not only gave me what I thought I wanted, they even took the time to draw up diagrams to give me a visual of what I was describing–I wanted custom shelves with my fireplace. The installer installed the fireplace with excellence. It is a beautiful job. Through the entire process, the installer communicated with me almost daily answering every phone call and answering every question without hesitation. They also gave me a fair price. After the job was completed, I felt like I had made a friendship with the main installer. 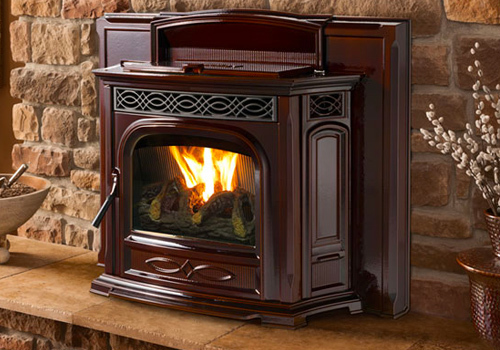 Eric P.
We searched and searched for a company to install a new gas fireplace and were quite frustrated with the lack of professionalism and high prices of many companies in the area. Then our plumber, who, installs gas lines, said “call Dennis of All Pro. He does really good work and is a great guy.” So glad we did. Dennis and his team are STELLAR! I highly recommend them. Cynthia C.
We had both of our chimney inspected and cleaned by All pro chimney who were extremely knowledgeable. There response time was great and professional. We will definitely use them again and would highly recommend their services. Edwin F.
Great company with exceptional customer service! They converted my brick, wood burning fireplace to a beautiful gas one with beautiful stone work. Sandra T.
I love everything about this company. Prompt and reliable services. The people are knowledgeable and very friendly. Kelley P.